Iran has successfully launched a live monkey into space. 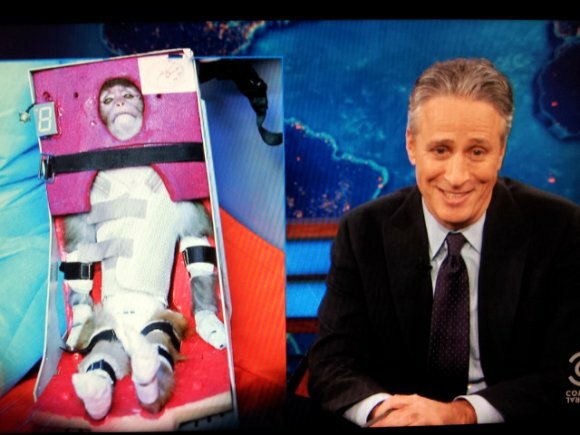 Comedian Jon Stewart described the monkey as “seen here doing it’s best ‘Han Solo frozen in Carbonite’ impression”. Image: Comedy Central via inothernews.